Feb. 14 (UPI) — Ford said Wednesday it will recall about 1.5 million F-150 pickup trucks due to a defect that can cause the vehicles to downshift suddenly. The automaker said the recall affects F-150 trucks between 2011 and 2013 with six-speed automatic transmissions. 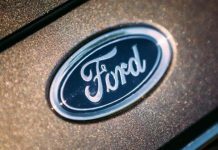 Ford said the defect is in the connection between the transmission output speed sensor and the powertrain control module, an electrical junction whose failure could result in loss of vehicle control. Ford said there’s been at least five accidents tied to the problem, and one report of driver whiplash potentially related to the problem. The affected trucks were built at Ford’s Dearborn, Mich., and Kansas City, Mo. plants between 2010 and 2013. Ford also announced two other recalls Wednesday. One involves possible malfunctioning door latches on 28,000 Lincoln Continentals (2017-19) assembled at the Flat Rock, Mich., between 2015 and 2018. The other affects 4,300 Ford Mustang, Lincoln Nautilus and Lincoln Navigator models built in 2018 and 2019 at Flat Rock, Oakville, Ontario, and Louisville, Ky. Instrument panel clusters may show no information on starting the vehicles.